Are there opportunities for Dutch gaming companies in Japan? On March 20th the Dutch Games Association hosted a Japan Business seminar which aimed to shed some light on this question. The short answer is yes. With a lot of focus going to other growth markets in Asia in recent years it is easy to forget that with a revenue of $12.5 billion Japan is still the third largest national game market in the world. It has the highest Average Paying Revenue per User ($30) for mobile games generated by 35.5 million mobile gamers. With the successful launch of the Nintendo Switch the console gaming market in Japan is growing again for the first time in eleven years. 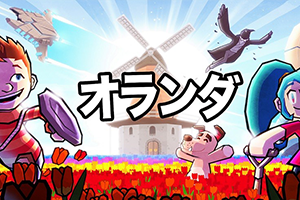 This article aims to provide a basic overview of some of the opportunities and challenges that exist for Dutch game companies in Japan. Japan has a highly profitable and developed market for games and as the below examples will prove there are plenty of ways for Dutch companies to sell their games here. This is not to say that every Dutch game that does well in Europe will do well in Japan or appeal to a Japanese audience on a large scale. Preferences in art direction and genre appear to be important things to keep in mind. It is possible for your game to be discovered by Japanese gamers, but more often than not companies achieved commercial success after a consistent long-term approach to enter the market. If you are looking to start a collaboration with a Japanese company it can take time and necessitate repeat visits to build up a relationship. It is our hope that this article will provide some useful tools and knowledge for entering the Japanese market. We will first broadly review some figures and trends before diving deeper into specific opportunities, challenges and some recent success stories. We will end by outlining how the Dutch government can support you through its economic network. More than half of all revenue in the Japanese gaming industry is generated by mobile gaming (52%), followed by console gaming (38%) and PC gaming (10%)3. Total revenue grew by 1,2% in 2016, which might seem low compared to other high-growth Asian countries such as China, but it is important to keep in mind that Japanese consumers have long had widespread access to mobile devices and gaming platforms. This has led to the development of a profitable and mature market that continues to grow despite Japan’s population decline and rapidly greying society. When looking at the long term the most obvious trend is the steady increase of the market share for mobile games. An important reason for this is that pre-smartphone era mobile devices in Japan (called garakei) already supported sophisticated digital games, gradually accustoming the Japanese consumer to buying and spending money on mobile games. The success of the Nintendo Switch has contributed to the console market growing again for the first time in eleven years, and there has been a lot of discussion whether the increasing market share of mobile games has ‘cannibalized’ demand for console games over the years. While the commercial success of mobile gaming is undeniable, there are also several indications that the recovery of the console industry is based on broader factors. This has led some to argue that there is enough room for both segments to prosper next to each other4. For instance, Sony’s Playstation 4 has enjoyed continued success (close to 80 million units sold, Sony recently announcing the PS4 has entered its lifecycle’s ‘last phase’) and has made VR gaming more affordable and accessible to many gamers with its PS VR. The Nintendo DS still sold over 7 million units in 2017, after peaking with roughly 14 million units in 2013. Japanese games are also enjoying wider appeal and commercial success among European and U.S. gamers, one good example being Capcom’s critically acclaimed Monster Hunter World that reached 7.9 million copies sold in May this year5. Another factor to keep in mind is the recovery of the Japanese economy, which recorded its longest growth streak since the bubble era and expanded for an eighth straight quarter by the end of 2017. Most of the mobile games in Japan are free-to-play (F2P), where monetization is achieved through what is called the gacha mechanism: the player uses some form of in-game currency to obtain randomized awards. This system is more or less identical to the internationally known ‘lootbox’ mechanism. Most of the top grossing mobile games in Japan use some form of the gacha mechanism, famous examples being Gungho’s Puzzle & Dragons and Mixi’s Monster Strike. The games are designed to accommodate the lifestyle of working adults who have the money to spend on these games. Almost 30% percent of paying users are in their 20’s (30’s and 40’s second, both around 20%). Typically one round in any game requires one or minutes two complete, not coincidentally the average time for a stop on the subway where you will have a hard time to spot a passenger without a phone in hand. Because players tend to be loyal to the games they play it is important for top grossing games to create a constant stream of new content. The top three reasons for mobile gamers to spend money on in-game items are the urge to advance or level up faster, to purchase rare items that are available for a limited time window, or to become stronger to pass a difficult stage6. Aside from physical copies in stores, console and PC games are sold on digital platforms that are the same as in Europe (Playstation Store, App store, Steam) or Japanese platforms such as DMM Games. Vouchers for many of these online platforms can also be purchased in convenient stores around Japan. The Dutch Embassy in Tokyo has done several events in cooperation with the International Game Developers Association Japan (IGDA) where Dutch serious games were shown that demonstrate the potential of the medium for purposes beyond entertainment. 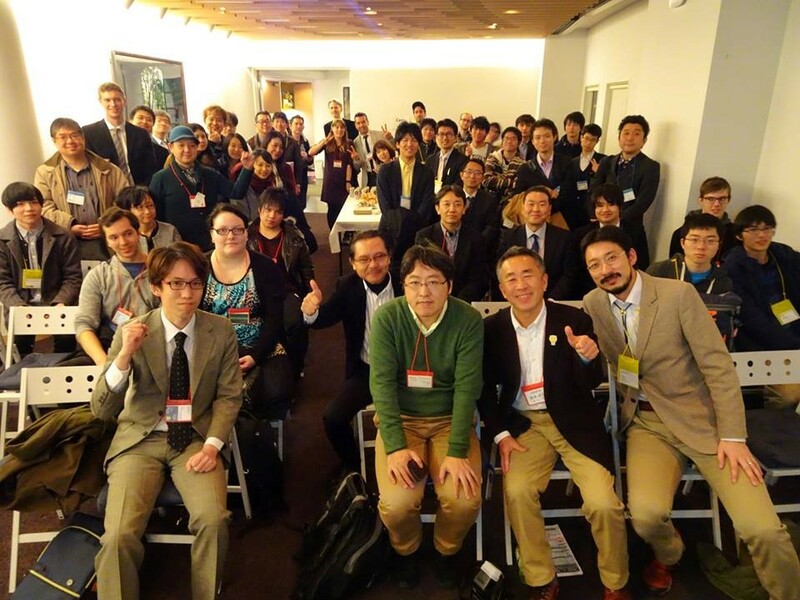 These events also aimed to stimulate partnerships between Dutch and Japanese developers of Serious Games and commercial matchmaking, and included a Serious Game Summit hosted at the Embassy and support for Serious Game Jams in Tokyo where Dutch students participated. Game developer CoolGames is one of the few Dutch game companies with an office in Japan. They develop cross-platform HTML5 games for PC, tablet and mobile, including games that can be played on LINE and Facebook. Nana Kikuchi from the Tokyo office explains that there are plenty of opportunities to collaborate with Japanese companies if a company is determined on entering the market. She says one effective way to make B2B connections is through attending expo’s, such as the Tokyo Game Show, but also other ones like the Content Expo Japan. She further points out that having business cards in Japanese and ideally a Japanese-speaking intermediary can be very helpful when establishing first contact. While everybody knows of the hugely successful Guerrilla Games (Horizon Zero Dawn over 7.6 million copies sold) that is now a wholly owned subsidiary of Sony Interactive Entertainment, there are also smaller studios doing well in Japan. After becoming a hit on Steam the game Kingdom by studio Noio released Japanese versions for PS4, mobile and Switch. Managing Director Tim Remmers of Team Reptile, that created the popular 2D fighting game Lethal League, noted that their PS4 sales were 3.5 times higher in Japan than in Europe. “We believe the key for the success of Lethal League in Japan is the style of the gameplay, art and music. It is new and western but also has some Japanese influences and mechanics players are familiar with. Having an appealing game is not enough though, that’s where Sony Japan helped us a lot. They saw the potential of Lethal League in Japan and provided the game with some prominent spots in their online store and during events throughout Japan.” If you have a console game already out in Europe on a platform that also exists in Japan such as the PlayStation Store, it might be worthwhile to consult with the European side about the possibilities to release the game in Japan. The Dutch company Utomik offers players unlimited access to all the PC games on their platform for a monthly subscription fee. They offer Japanese games in their collection and will be participating in the Indie Game Expo ‘Bit Summit’ in Kyoto this year. Partner Manager from Utomik Tom Schoen mentions that: “Japan will always be an important country for us because of the meaningful partnerships and high level of potential. Not only is it the country of origin for many of our favorite games, it also proves time and time again to house some of the most inventive and original games in the business.” Utomik currently features games by the Japanese developer and publisher Idea Factory, such as the popular Neptunia series, and recently also a first otome game. 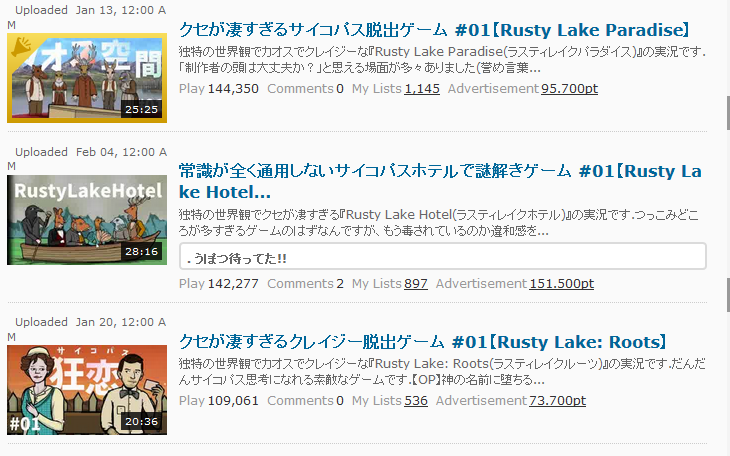 Otome is a genre that is fairly unknown in Europe but very popular in Japan. It is targeted towards female gamers where the objective usually involves building up a romantic relationship with one of the male characters in the game. Veteran Japanese game developer Makoto Goto who has worked on popular Japanese game series like Final Fantasy and Dragon Quest recently started his own company ‘Game for IT’ to promote and sell serious games in Japan. 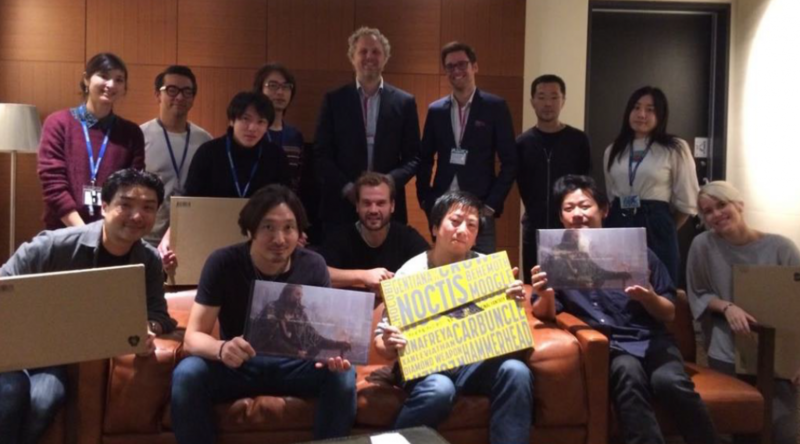 He visited the Netherlands to meet with several Dutch serious games companies and gave a presentation during the Japan business seminar. He says that in Japan the image of games is currently strongly associated with entertainment purposes and the number of serious games limited. He believes there is a large opportunity to change this image if there were some examples of commercially successful serious games released in Japan. He points out that the increasing tourism to Japan (that is expected to rise even further with the upcoming Olympic Games) and the introduction of mandatory English education in elementary schools in 2020 will be a great opportunity to create games that support tourists in Japan or for learning English. Although these examples illustrate the opportunities for Dutch companies it does not mean that every game that sells well in Europe will automatically do well in Japan. It is important to keep in mind the specific Japanese taste in art direction and gameplay when entering the market. The most popular game genres in order of popularity are Puzzle (most popular genre for both men and women but does particularly well for women), RPG, Action and Sports7, and many of these games can be very text heavy. The art direction of your game can be a key factor for gaining traction with a Japanese audience. 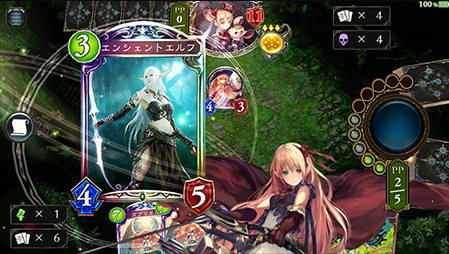 A good example is the case of Shadow Verse, a digital collectable card game developed by Cygames. While Hearthstone was struggling to create a player base in Japan, the very similarly structured Shadow Verse, that has the notable difference of having an anime style catered to a Japanese audience, jumped to the top 10 grossing rankings straight after launch. 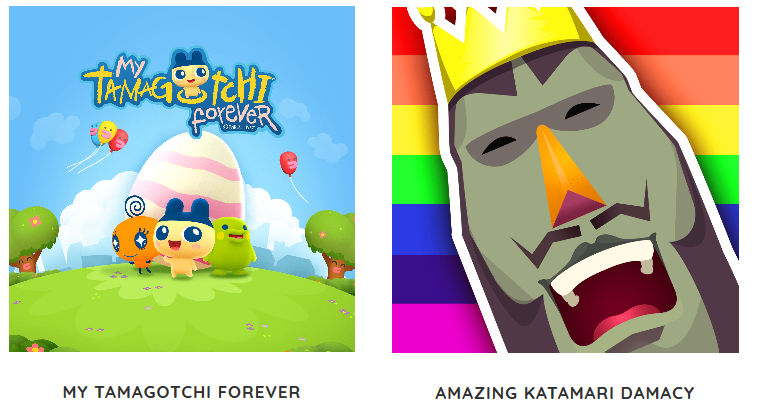 This is not to say that Dutch game companies should purely copy and paste the art direction of Japanese games. A hybrid version might just be the best, where you incorporate the Japanese style to some extent but retain your own character and personality. Feedback received from visitors to the Holland Pavilion at the Tokyo Game Show indicated that by simply copying a Japanese anime style you run the risk of coming of as unimaginative, and could have trouble standing out compared to games by Japanese game developers that have mastered this style. Finding a good balance where the Japanese gamer feels the experience is familiar but fresh seems to be a good approach. The Dutch studio Arcane Circus is currently developing a kaiju (Japanese monster) themed card game that they aim to release on the Japanese market. The Dutch Embassy in Tokyo has been working together with Dutch organization Rangemu that actively promotes closer ties between the Dutch and Japanese gaming sector, in part by informing Dutch companies of the specific local challenges that exist. Martijn van Zwieten, co-founder of Rangemu states: “Approaching and entering new markets as distant and culturally different as Japan can be difficult, but we’ve found that companies that decide to take the plunge often find plenty of opportunities. Japanese companies are showing a growing interest in foreign content, and Dutch companies are generally regarded as producers of high quality products”. Martijn also works for the Dutch company Cook & Becker that creates high quality prints and art books of game art for which he regularly visits Japan. “A group meeting with Square Enix at TGS led to Cook & Becker making an official coffee table art book for FINAL FANTASY XV in close cooperation with the team behind the game. The book has been extremely successful, and it’s proving to be a great jump-off point for doing business with more Japanese game companies”. The Dutch government would like to assist you in your international ambitions through its economic network. In the Netherlands you can reach the Rijksdienst Voor Ondernemen (RVO, Netherlands Enterprise Agency) that can give you advice on your export plan, provide specific information on the local market, establish contacts and open doors. The RVO works closely together with our offices abroad and is the gateway to our worldwide network. You can contact them for a free consultation call on general inquiries or information specific to a certain country.